Becoming a rice distributor or starting your rice distribution business isn't rocket science, neither do you need a business class lesson tutored by Dangote. The truth about any business you wish to start is that you need the right information and consistency. I know you need this information that's why you are here. Just follow these tips I am about to doll out for free lol. If you are just learning today that rice is the most widely consumed food world over then you owe me an ODEKU. LOL. that's to tell you over 2billion people Consume rice daily. Do you still need anyone to tell you that any rice related business You invests in; whether rice farming, rice hulling service, or wholesale distribution of rice will definite have a ready market for the product or services. For the sake of our topic today we will focus on rice distribution business in this article including why you need to start a distribution business and how to get started and become a big time wholesale distributor of rice. Now let us look at the requirements to start this rice distribution business. 1. Source For A Supplier-: Don't got and buy from distributor, if you make this mistake you may run at loss at the end. Your supplier should be a rice farm, this is because your supplier must be readily available to supply you and the price must be considerably minima. You should also consider distance because of hullage or cost effective logistics. 2. Store-: There's no way you won't be needing this, because you must store your rice because retailers Might not be readily available at all times. 3. Capital-: Ordinarily this should have come first, because To become a wholesale distributor, you need to buy in very large quantity from the rice farmers and sell in smaller bits to the retailers; so starting a rice distribution business requires much capital. The only exception is if you have a mutual understanding and agreement with the farmers where they supply you the goods on credit sales, you then sell to the retailers and pay them off as soon as you are done with the sales. 4. Delivery Van-: This is the very mechanism that might determine the success of your rice distribution business. As the distriBurke you are directly in charge of transporting the rice from the rice farm to your warehouse or delivery to customers when orders are placed. For this to be possible, you need trucks or vans. If all these requirements are met, then you are good to go. 1. Carry out Feasibility Study-: In as much as any rice business have an available market, you still need to conduct a feasibility study on the demand of rice in your location. You need to find out if there are retailers who are available to buy your rice produce and how fast they sell out to consumers. This will help you have an idea of the market you have in your location; though you are not subjected to a particular location as a distributor because you should be able to distribute fast and wide within and outside your country wherever there is demand for your produce. 2. Get the Necessary License Required to Become a Distributor-: You may be required to get some sort of license in order to operate as a wholesale distributor in some states. Find out the license and other legal formalities applicable to your state and get them. 3. Get Your Supply of Rice from the Rice Farmers-: After you are done with your feasibility study and you are sure that there is an available market for your produce, it’s time to contact your supplier to supply the first consignment of produce for you. When you get the produce, you can choose to repack them to become your own brand. The branding may involve packing the rice in personalized sacks. 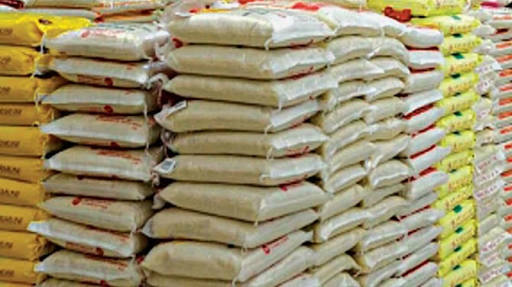 Free Samples-: Some retailers maybe afraid to order from new distributors whom they don’t know the quality of rice they have to offer; one to get around the issue is to offer a small bag of rice; lets say 2kg as sample to any retailer who feel is a potential customer.